Barbara Elizabeth Low was born in Harrisburg Pennsylvania February 3, 1934. She graduated from John Piersol McCaskey High School. She married Burdette C. Low (Burt) in 1953 in Scranton, PA, and they had over 50 happy years together. Barbara was cheerful, vivacious, and full of laughter. She enjoyed helping others. 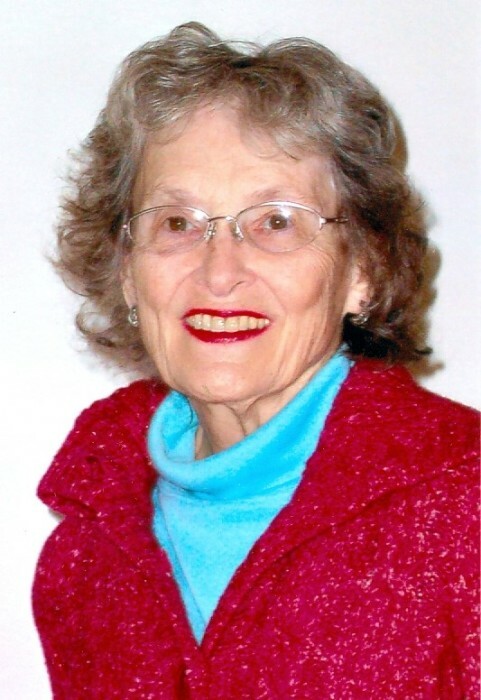 She loved to read and enjoyed gardening, painting, flower arranging, bridge, puzzles, traveling, and a variety of television programs. While her children were growing up, she volunteered as a school librarian, a Cub Scout den mother, and served on the PTA. She and her husband, Burt, were always very active in their church, both in Pennsylvania and later in Arizona. Barbara was employed at Marple Public Library in Broomall, PA, and worked for the National Board of Medical Examiners in Philadelphia. Later, she enjoyed the retired life in Sun City West and then in Sun City at Wooddale Village. She is survived by her son Robert Low (Susan), daughter Sandra Stahl (John), son David Low, grandchildren Tim Stahl, Amy Farouk (Wael), Kurt Stahl (Magan), Joy Searwar (Robert) and great grandchildren Caroline, Nabiela, Nathaniel, Audrey William, and Lillian.